Tim Goad - B.E.S., LL.B., J.D. Tim was born and raised in Cambridge (Preston) and has been an active and valued member of the community ever since. He has been practicing law in the Waterloo Region since 1980, when he joined his older (but arguably not-as-good-looking) brother, Gary, to form the firm of GOAD AND GOAD LLP. Over those 35+ years, Tim has well earned a reputation as a straight shooter, gentleman and excellent lawyer. 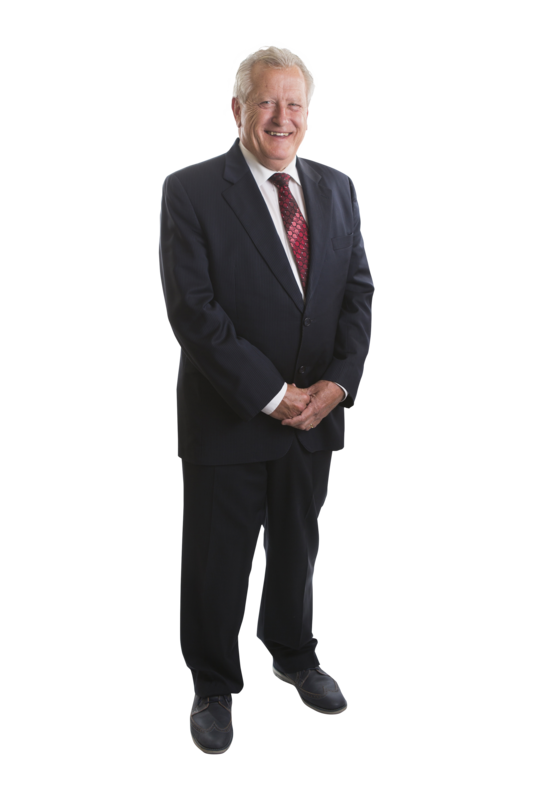 His practice is now generally restricted to Corporate and Commercial law, Elder, Estate Planning and Wills, and Real Estate. However, Tim also has had extensive experience in Family Law, Child Protection and Civil Litigation. Just a smattering of Tim’s community involvement has included: President of Montessori School of Cambridge when his children were students; United Way involvement; member of the Shades Mill Law Association and past member of the executive; and member of the Waterloo Law Association. While still running a very busy practice, Tim is attempting to spend some more time with his loving wife, children and grandchildren, as well as his family and many friends in the community. Tim enjoys golfing and may be spotted from time-to-time exchanging laughs and swing tips with his friends and colleagues at the Galt Country Club.